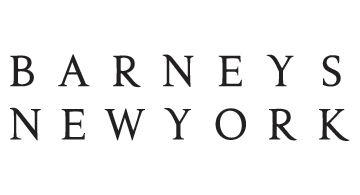 Barneys New York is a luxury specialty retailer renowned for having the most discerning edit from the world's top designers, including women's and men's ready-to-wear, accessories, shoes, jewelry, cosmetics, fragrances, and gifts for the home. Barneys' signature sense of wit and style is manifested in its creative advertising campaigns, original holiday themes, and celebrated window displays. Today, Barneys New York operates flagship stores in New York City, Beverly Hills, Chicago, Seattle, Boston, San Francisco, Las Vegas, Los Angeles and Scottsdale along with a preeminent luxury online store, Barneys.com, as well as 25 other stores and outlets across the United States.